Victoria King aspires to combine community service, travel and sustainable living into a rewarding career. Hailing from the small town of Bonne Terre, Missouri, she wanted to venture out into the world and work with a diverse group of people from around the globe. And the International Business program at the University of Missouri–St. Louis has matched her goals perfectly. UMSL’s International Business program landed its 14th consecutive top 20 ranking by U.S. News & World Report this week. The magazine’s 2017 “America’s Best Colleges” guidebook named the International Business program at UMSL the 17th best in the nation, tied with Brigham Young University and University of Hawaii–Manoa. While rankings alone do not indicate the full quality of a university or program, they are one of the things students such as King consider when selecting a school. 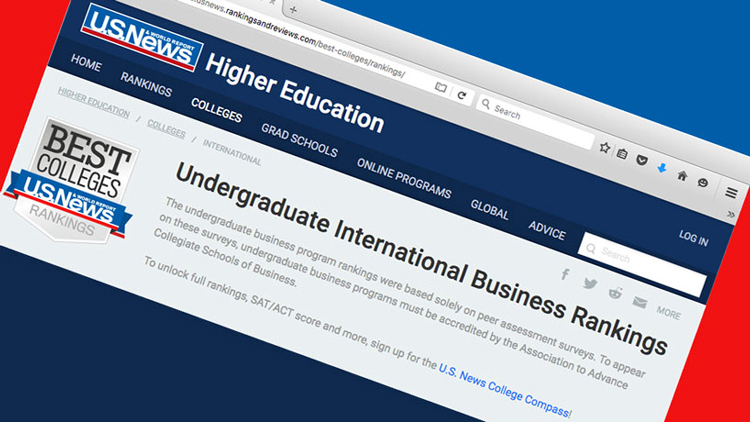 “As an aspiring business student, I was looking for a challenging program and a quality, AACSB accredited degree that would adequately prepare me for the competitive world of international business,” King said. “After surveying several options, I selected UMSL for its nationally ranked IB program – ranked top 20 by U.S. News and World Report for several consecutive years now – and its prestige in the St. Louis community. 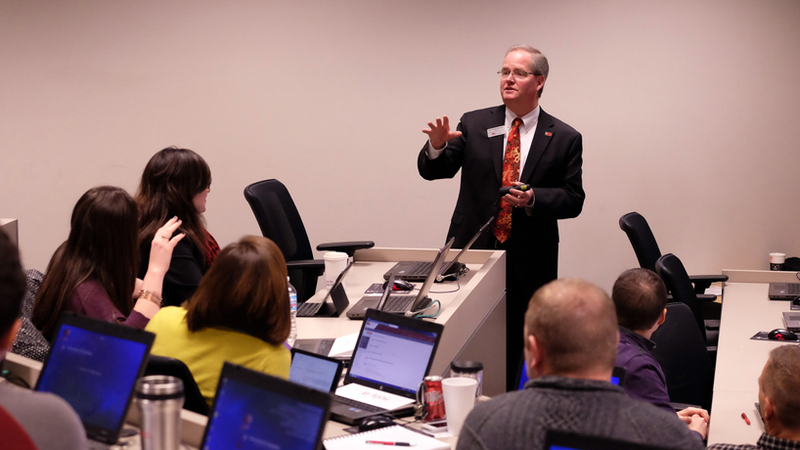 Established in 1999, the undergraduate International Business program combined the strengths of UMSL’s College of Business Administration and its Pierre Laclede Honors College. The International Business Institute formed in 2000 with the goal of continuing to strengthen the international undergraduate and graduate degree programs. “Fourteen years is a wonderful streak,” Joe Rottman, program director and chair of UMSL’s Global Leadership and Management Department, said. “I am extremely proud of the team that executes all of the wonderful and innovative programs we have in International Business and Global Leadership and Management. more than 70 study abroad programs available in more than 40 countries and a large contingent of students from China, Japan, Europe, Latin America and India. annual study tours that lead student groups to locales around the world. American student internships at the overseas offices of companies such as Japan Airlines, Emerson Electric and General Motors, while foreign students have interned in the St. Louis area at companies such as Emerson Electric, Silgan Plastics, Novus International and Pricewaterhouse Coopers. King, the undergraduate international business student, said study abroad options “make a world of difference.” The International Studies & Programs Study Abroad Scholarship and the Robert and Paulette Bliss Study Abroad Scholarship supported King’s study abroad opportunity. “I was blessed with the opportunity to travel and study in Japan through a faculty-led study abroad program here at UMSL,” King said. “We spent two weeks traveling through east Japan – Tokyo, Kyoto, Osaka, et cetera – and learning about the rich culture and history of the small island nation. Our program toured many businesses, like Mitsubishi Fuso and Sato Holdings, to learn about the unique operations of Japanese firms, and we participated in several cultural exchanges with Japanese university students with whom many of us still remain friends. Building of the success of the undergraduate program, UMSL Business launched the International Masters of Business Administration in 2005. The IMBA program created partnerships with international universities in China, Japan, India, France, Mexico and Taiwan. Students enrolled in the two-year, dual-degree graduate program spend the first year studying abroad followed by a summer internship before returning to UMSL for a year.